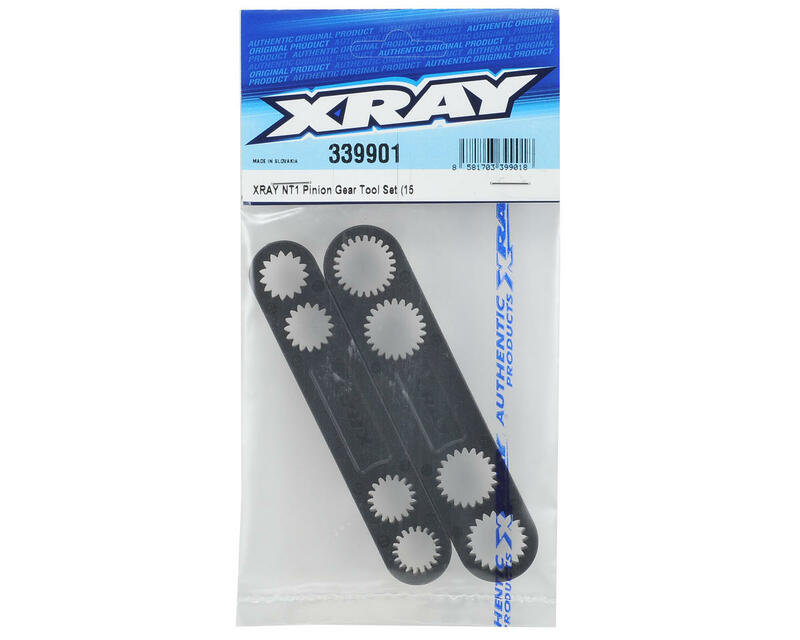 This is a set of XRAY Pinion Gear Tools, and are intended for use with the XRAY NT1 and NT1 009 Spec. This set of two XCA-clutch pinion gear tools are used to help install and remove pinon gears to/from the XCA clutchbell. The tools are molded from a special composite mixture which ensures very high durability and will ensure very precise fitting to the pinions. 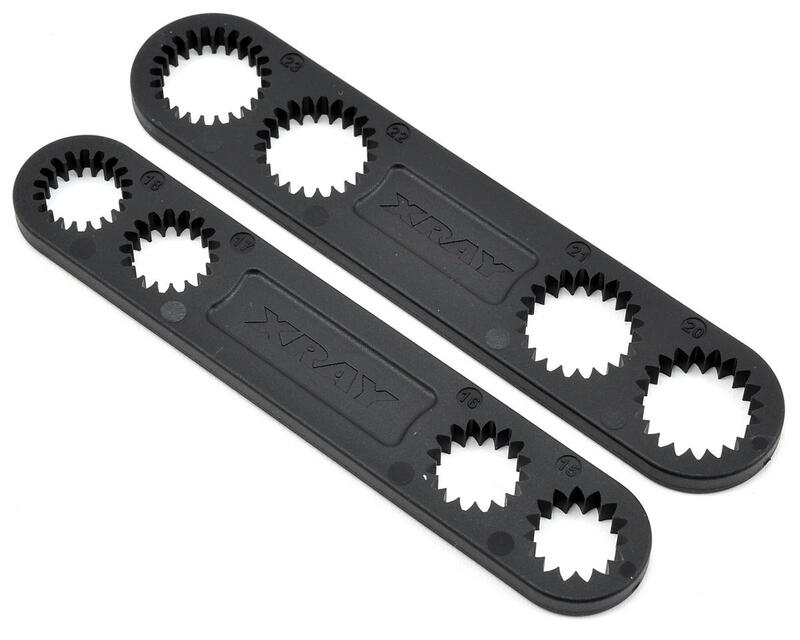 The Pinion Gear Tool is specially designed to fit the XRAY NT1 pinion gears which have very specific and unique teeth profile and design. The tools fit all NT1 pinion gears (1st gears - 15, 16, 17, 18T ; 2nd gears - 20, 21, 22, 23T) and is a "must have" for all XRAY NT1 owners.